Sewer drain pipes are located underground, and traditionally, NJ sewer repair contractors have had to dig into the ground to access them, especially for sewer replacement jobs. This is fine if the damaged pipe is underneath your lawn, but what about replacing a broken drain pipe under a slab in the street? When a sewer pipe line is located under a concrete slab, and excavating under a concrete slab comes with its own sets of problems. It’s usually a problem when a homeowners finds out that cast iron drain pipes that need repairs are underneath a slab. 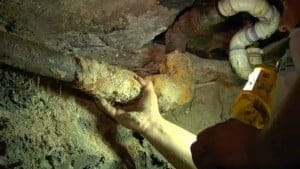 Fortunately, modern technology has brought trenchless sewer repair techniques, a simpler way to deal with broken and damaged drain pipe replacement. If you’re looking for sewer repair contractor in NJ for replacing a broken drain pipe under a slab in the street, give us a call today at A1 Sewer & Drain for sewer repair, drain pipe replacement, and more. Digging underneath a street or concrete slab can be risky, since it compromises the integrity of the street, as well as potentially that of homes and buildings. This leads to safety concerns, which make sewer repair contractors hesitant to excavate beneath a slab. It’s also a decidedly invasive process for homeowners, and if the pipe is under the street, it affects your neighbors as well. 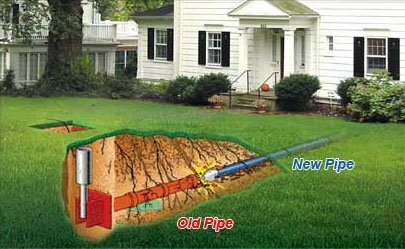 Fortunately, in many cases, trenchless drain pipe replacement offers an alternative way to repair or replace sewer and drain lines, without worrying about the slab or street. Trenchless sewer and drain repair doesn’t require any digging or excavation at all; it can be carried out through existing access points. Replacing a broken drain pipe under a slab or in the street in NJ will generally begin with the use of a fiber optic sewer inspection camera system, which gives sewer and drain repair contractors a direct look into the pipes to determine what’s causing the problem. This is important, since different types of drain pipe damage require different methods of drain repair. For example, a simple clog can usually be cleared out with high-pressure hydro jetting, while a structurally compromised drain pipe will need to be replaced completely. 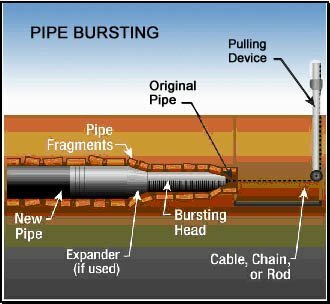 Pipe lining. Pipe lining with specialized cure-in-place pipe (CIPP) is a quick, convenient way to patch up holes and cracks in drain pipes and sewers that are otherwise structurally intact. A long, flexible tube made from polyester, fiberglass, and resin can be pulled down into the cracked or damaged section of drain pipe, then hardened in place with heat or UV. Pipe bursting is suitable for replacing severely damaged sewer and drain pipes. The old pipe is broken apart completely, and pushed outward into the soil. Then, machinery pulls a new section of pipe into its place. 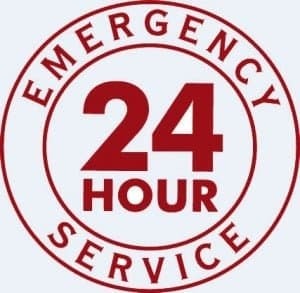 If you’re looking for help replacing a broken drain pipe under a slab in the street, call us any time at A1 Sewer & Drain for fast, reliable 24 hour drain pipe repair service in NJ.